Is Controlled Crying Good for Your Baby? 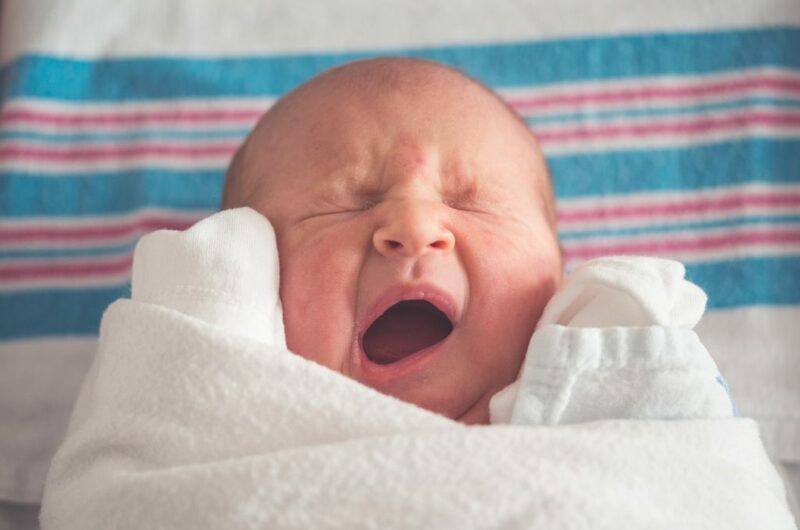 » Is Controlled Crying Good for Your Baby? Parents are constantly searching for the safest, healthiest, and best ways to raise their children. A wide variety of different methods have been researched by different specialists. However, good parenting is all about combining your research and good advice with your own style to find a safe answer that works for your family. One issue that new parents ask a lot of questions about is controlled crying. Controlled crying is the practice of encouraging children to fall asleep on their own, even if they start to cry. This practice is incredibly controversial and, as one would assume, and is met with a wide breadth of views. It is important to take the pros and cons of the practice of controlled crying into consideration before determining your exact stance. One major misunderstanding that surrounds controlled crying is the belief that it means never going to the child when they start to cry. But this is not an accurate understanding of the practice. Instead, it is the practice of going in sometimes to soothe the baby while leaving them in their crib, and, over time, going less and less frequently. The belief is that this will allow the child to learn that mom and dad are still close by and eventually regulate their own sleep schedule. It will ultimately mean a better night’s sleep for both of the parents and the child. This practice should only be used on children that are over six months old. These children will have developed object permanence thereby allowing them to be reassured that, even if mom and dad do not enter the room multiple times throughout the night, they are just around the corner. By 6 months, you have also learned to know when your baby is hungry, verses when they are simply tired or cranky. This method has been shown in various studies to improve the relationship between parents and their children. This is largely due to the fact that both parties end up getting more sleep than they would have had otherwise, and to the fact that it develops trust and assurance. Of course, not everything that has come out about the practice of controlled crying has been deemed positive. While studies have been done on the practice, none of the results of these studies have been evidence based. In fact, a large part of the foundation of controlled crying is more firmly rooted in what is not known rather than what is. For example, it is not known the true emotional levels of a crying infant. If an infant is in real distress, it may not be best to leave that infant to settle themselves. If an infant learns at a young age that crying will not get them the help that they want and need, they may experience a variety of psychological problems in later life. If it could be proven that an infant is simply crying because they have woken up, it would be very safe to let them settle themselves and return to sleep. In fact, it may be overall beneficial. Furthermore, if you have spent the first 6 months of life responding to their cries, and you continue to go in and soothe them as they learn to sleep on their own, they will likely understand that they are not being truly left alone when in need. However, this cannot be known with certainty. If an infant is waking up because they are hungry in the middle of the night, the best thing to do is give them food. While an adult can control their midnight cravings and put them off until morning, an infant does not have that will-power based capability. They will not develop that self-sensory part of the brain for a while, and it seems a bit extreme to ask the child to self-develop that function so early on. However, by 6 months, you will likely be able to know when they are hungry and need food verses when they are crying for another reason. The decision not to use the method of controlled crying is a very normal one. However, there must be a way to both wake up with your baby when it cries and not have to get out of bed every time. Raising your child the way that you want to should not have to be a challenge. There may be a good solution. With co-sleeper cots, parents are able to get the best of both worlds. Not a lot of parents are made very aware of co-sleeper cots, but they really serve to be incredibly beneficial to everyone involved. 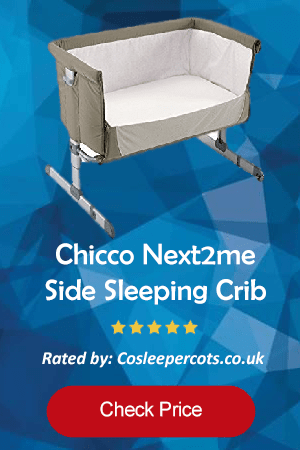 Co-sleeper cots are bassinets with three sides that attach directly to the side of the parent’s bed. This allows the child to have the safety of their own space along with the security of having the parents nearby. This will give peace of mind both to the infant and the parents and will allow parents to simply reach over to soothe baby and determine what he or she needs without necessarily needing to get up. If you want to use a controlled crying method, your child will be able to settle themselves while still having the comfort and security of being able to see you. If you decide not to use the controlled crying method, you will be able to instantly pick up your child without getting out of bed yourself. It is a win-win for everyone! If a co-sleeper cot sounds like the right solution for your family, you may be quickly overwhelmed when you see how many there are on the market. Rather than be overwhelmed and unsure which cot will best fit your family, be sure to check out our CoSleeperCots website. We help do the hard work of searching for you by providing reviews, buyer’s guides, and advice to help families find the perfect sleep solution for their little one.